Valentine’s Day is one of the most romantic occasions that we celebrate every year. For this reason, new ideas are presented every year particularly for women to make them more elegant and allow them to celebrate this special occasion happily. Valentine’s Day nail art ideas are among the most essential ideas women need to get inspired and know how to change the look of their hands to be more romantic and suit Valentine’s Day. If you are too lazy and do not want to exert any effort or really busy and do not have time to waste for painting and decorating your nails, then you need to opt for those nail stickers and decals that are especially designed and created for Valentine’s Day. They are easy to use and do not require spending a long time to be applied or removed. If you do not like the classics and find them boring or not catchy like other new trends and colors, then you can leave the red nail polish to try other colors that are non-traditional and not usually used on Valentine’s Day. You can use pink, blue, black, white, brown, green, purple, and yellow. 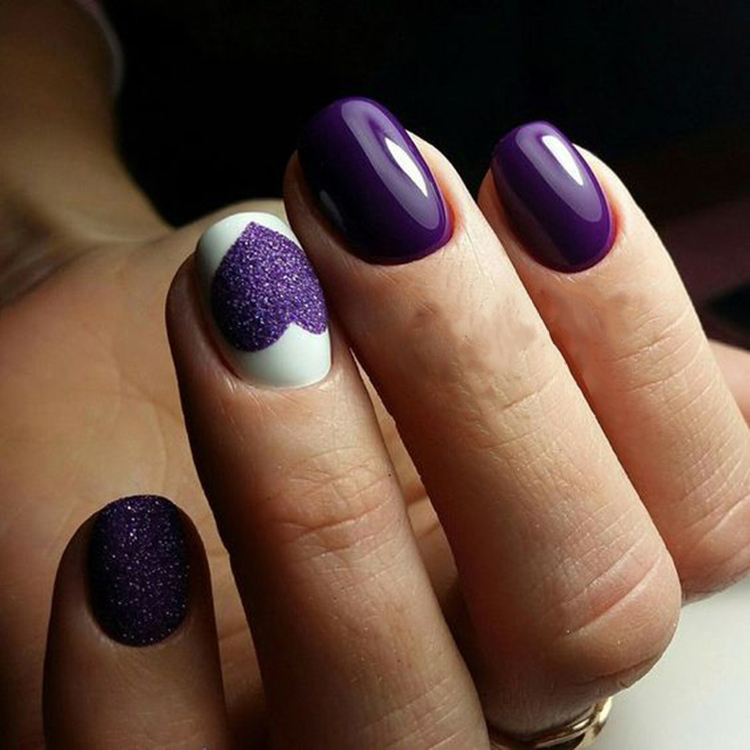 Instead of using only one color, try to choose two or more colors that match each other to get catchier nails.